Colorado Rockhead "Their pizza is AWESOME! Delicious, flavorful thin-crust pizza... Family-owned and operated, too." "Basta, which means "enough" in Italian, represents the philosophy of our restaurant. We believe that simple, properly prepared food and a good bottle of wine are all you need for a satisfying meal. David "...I will say, in my 35+ years in Colorado this is the best I've had! The toppings are flavorful and subtle. 12" round pies. I've had the "Saliche" twice. A white pie with ricotta, house made mozzarella, rapini and sausage. The "Margarita" is a red pie with tomato (eaten twice), mozzarella, and basil. I love a simple pie , and this one hits the spot! If your in Boulder and you are going to eat, this is the place! And reasonable!..." Pizzeria da Lupo is the best pizza in Boulder." "Pizzeria Da Lupa, is on a par with Bianco's,...quite different from--Da Fara's. Terrific, well-fermented crust and fresh, imaginative toppings. Wood fired oven..."
Rick "For Colorado pizza this is the best crust, and the best pizza place I know." dougccox "Best in Colorado. A Chicago-style place, serving both outstanding thin and traditional stuffed pizzas..."
heyrey.prod "The crust is that NY style. Thin yet chewy Sauce is not sweet with great garlicky overtones. Good mozzarella and toppings if you so desire. Slices on demand!..." The Pizza Promoter "Excellent wood fired pizza in Denver. If you are looking for pizza with lots of heart, you can find it here. You will also find lots of great pizza." "The sauce, the toppings, the crust, it's perfect. This is the pizza that I've judged all others against for the past 20 years. It just doesn't get any better!! Colorado Denver Pizza Express Sbobby "The pizza is so good it makes your mouth water it makes you go outrageously crazy. It makes your eyes pop and your fingers shake. Man you got to get that PIZZA." Colorado Denver Ricci's Pizza rockair "Its a slice of heaven." Colorado Denver Two-Fisted Mario's tderoche "This place ROCKS! The sauce is a little bit spicy, there are visible chunks of garlic on it and they have both black AND green olives! So good...hole-in-the-wall joint in LoDo...yummiest pizza." Uncle's website Garrett "Great. Perfect Crust with blisters, yet the chew is soooo perfect. They proof the dough to the perfect temp so when it cooks it creates the perfect porous crumb and crust. They have traditional to home-made meatballs as toppings. But the staff spinning pizzas in an open kitchen is the best. They don't deliver, so they aim to make the perfect pizza for each pizza you order. " Website Rick "For Colorado pizza this pie is as good a pie as I've had anywhere. The crust is superb." Colorado Lakewood Virgilio's Pizzeria Napoletana pizzaboyusa "I grew in New Haven with Pepe's. So desire to have good pie in Colorado has been a mission. Virgilio's Pizzeria is the best pie I have had since the east coast. The crust is crispy, the pizza sauce is awesome but not over powering and the cheese is to die for. I was watching them grind the cheese fresh. By far the best pizza in Denver." tons of toppings and quality cheese. " Colorado New Castle Hogback Pizza Lisa "The Pizza is made in a stone oven...the crust is thin and the ingredients are all fresh." Colorado Pueblo Ianne's Pizza John "Love the sauce and the crust. Been eating Ianne's Pizza since I was a little boy. Also the sausage is great. Ianne's was the first and still the best pizzeria in Pueblo, Colorado." Colorado Winter Park Hernando's Paul "The best pizza in the USA and I have had pizza in close to 50 states, is by far Hernando's in Winter Park Co. This is not an opinion it is simply the truth." Secret Restaurant Recipes Click Here! Who Makes The Worlds Best Pizza in Colorado? 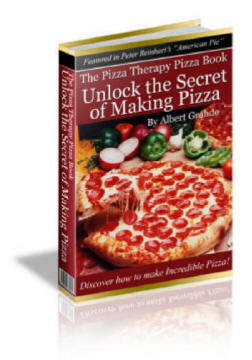 Get: "The Therapy Pizza Book"
Find The World's Best Pizza, here.